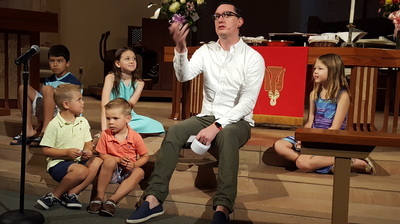 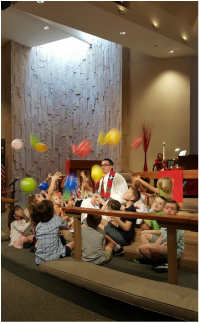 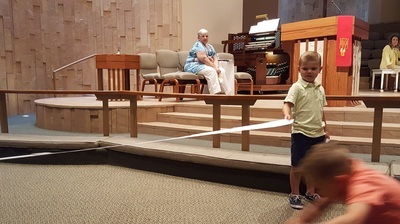 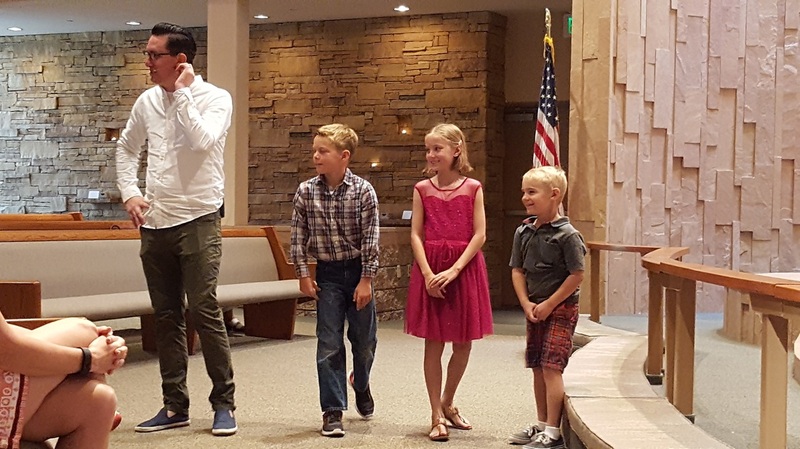 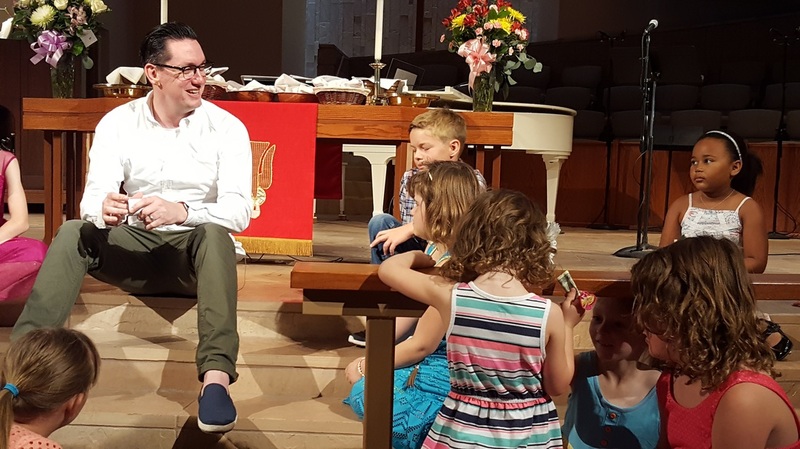 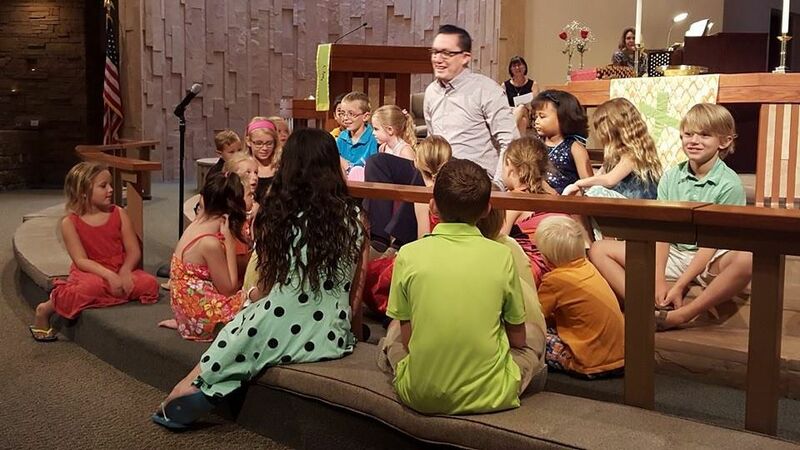 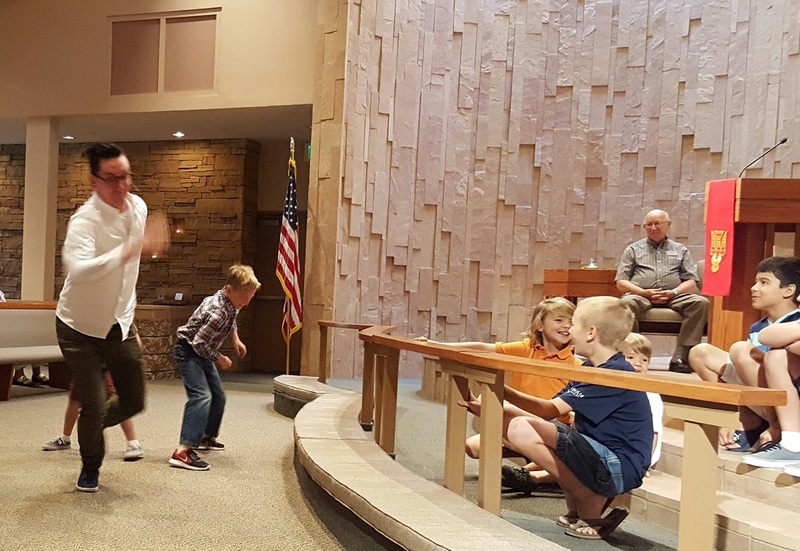 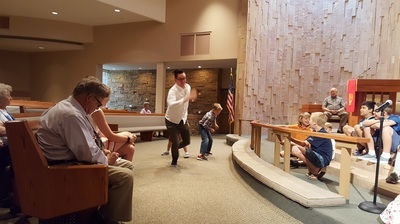 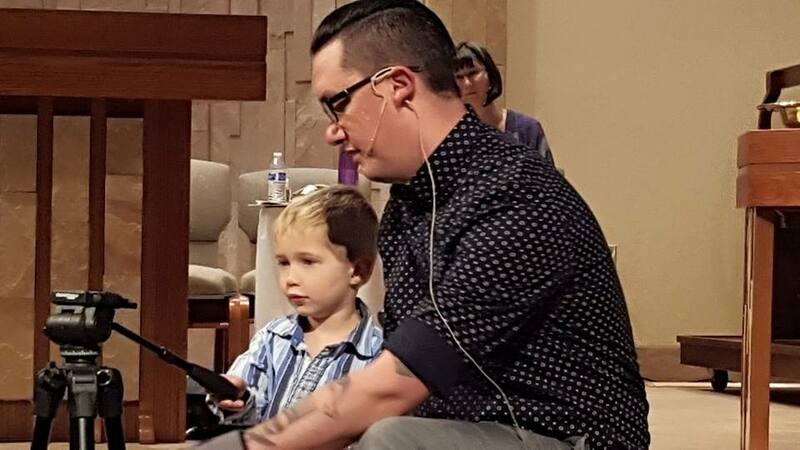 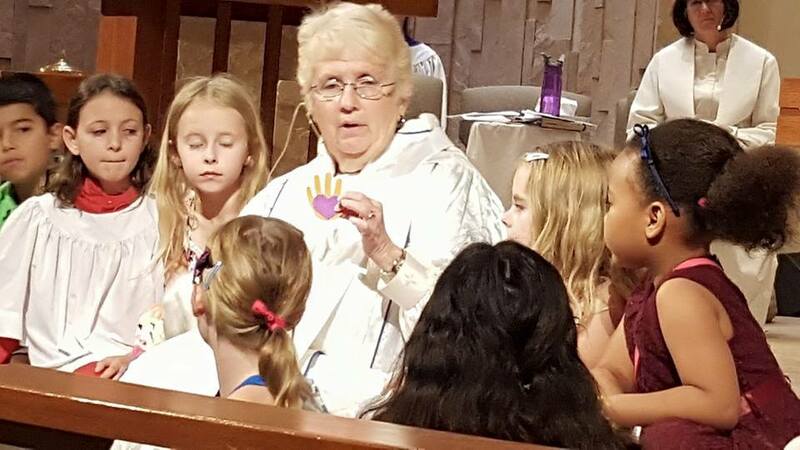 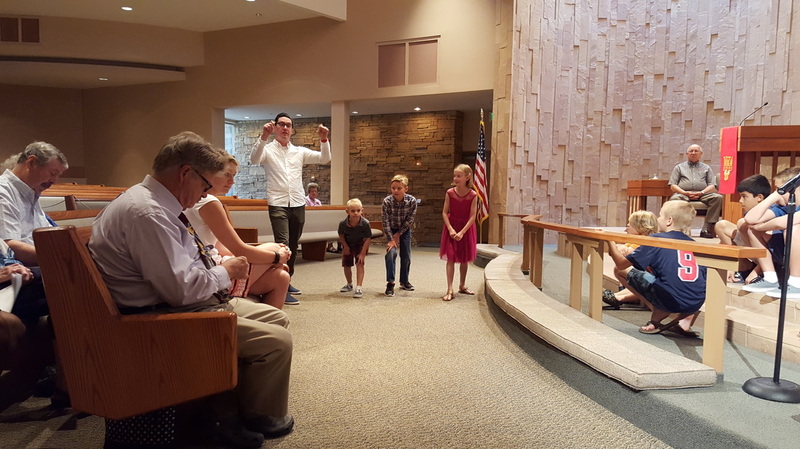 ﻿Children's Moments occurs approximately ten minutes into all of our worship services. 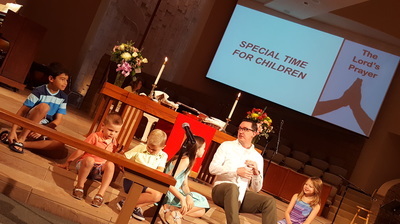 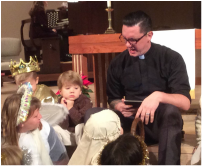 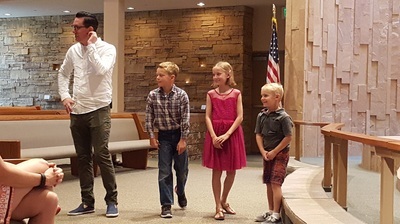 It is a time during the service when our pastors explain a scripture story to our children. 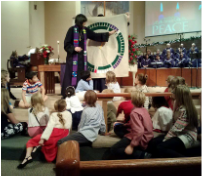 All children are invited to the chancel area to hear the message. 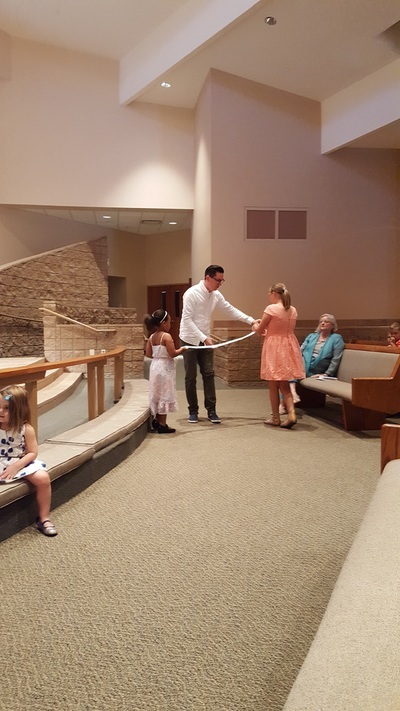 Once the Children's Moment ends the children are invited to join the teachers and proceed to their Sunday School classroom. 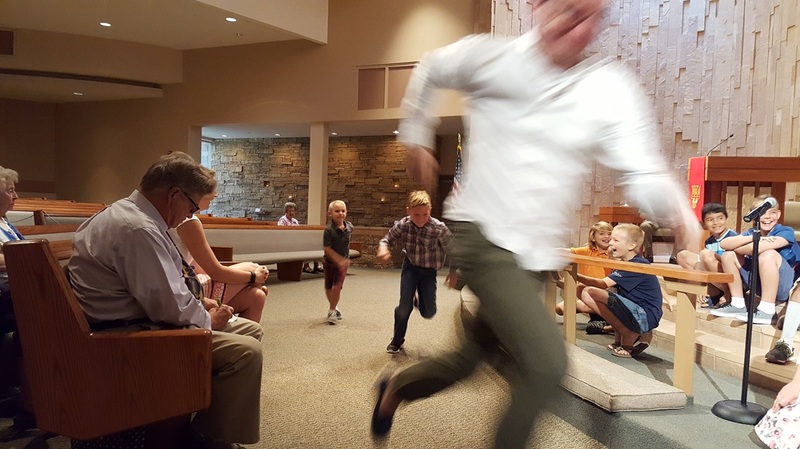 Pastor Dave wanted to recreate a race to the finish line. Yes, there was a race, a finish line and runners in this recreation in our sanctuary! The message was to celebrate our graduations and accomplishments just like they did in the bible.